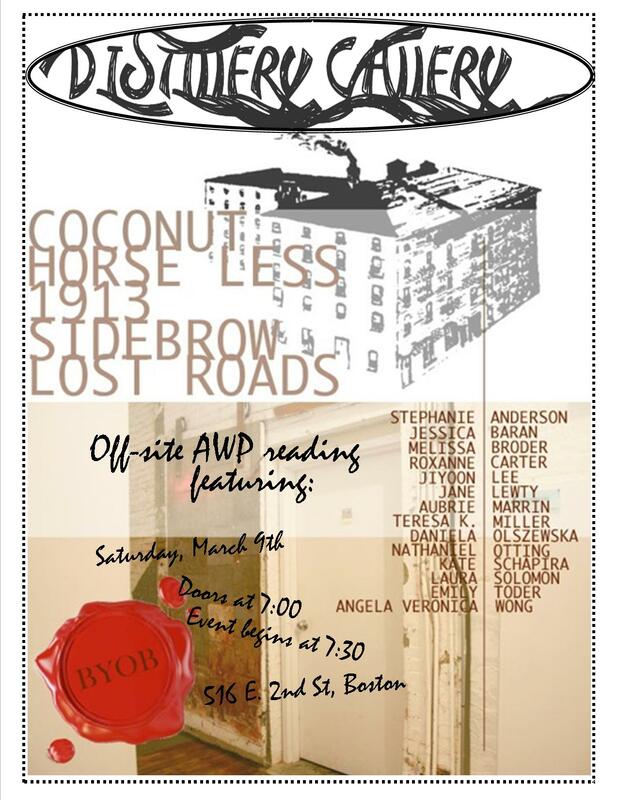 Your Horse Less editors cannot/will not make it to Boston for AWP, but fabulous Horse Less author Kate Schapira agreed to be host at an off-site reading with our friends Coconut, Lost Roads, 1913, and Sidebrow. Alongside Kate Schapira, fabulous Horse Less authors Stephanie Anderson, Aubrie Marrin, and Daniela Olszewska will be reading, and they will also have some copies of recent Horse Less books, should you need to pick up a copy. For those of you who aren’t going or don’t want to carry a bunch of books back home with you, we’re offering an online AWP sale: $15 for any full-length book (Richard Froude’s FABRIC, Susan Scarlata’s It Might Turn Out We Are Real, Daniela Olszewska’s cloudfang :: cakedirt, Kate Schapira’s The Soft Place, or our New Pony collaborative anthology) + any chapbook from the current catalog. That’s pretty much a free chapbook. Make your AWP sale purchase here, and don’t forget to tell us which book + chapbook you want.